Hello! Today I have a card to share with a Penny Black stamp set and some copic coloring. 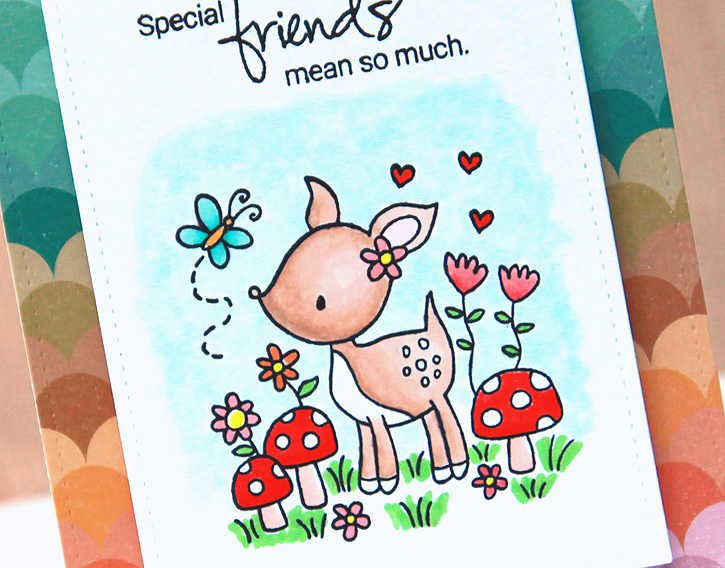 The Mimi's Love stamp set has an adorable little scene of a deer with flowers, mushrooms and a butterfly... perfect for some coloring! 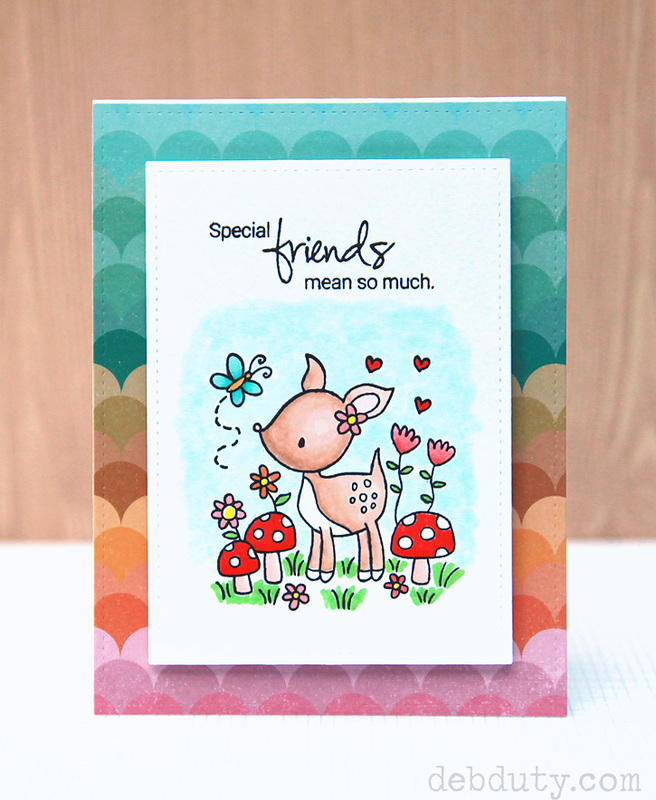 I stamped the scene and sentiment with memento ink on white cardstock cut with a stitched rectangle die. I colored the scene with copic markers and added a touch of wink of stella glitter to the flowers and butterfly. I attached the scene with dimensional adhesive on patterned paper from the Studio Calico Printshop collection 6x6 paper pad. Thanks for stopping by! Products used in today's card are linked below. Such a darling card, Deb!